Well, it was a very tentative start to what ended up a relatively high-scoring 34-12 win for the St George Illawarra Dragons as both sides took the option of penalty goals rather than attacking the line in the first quarter. Indeed there was a big cheer from the crowd when smelling blood, the Dragons finally declined a penalty kick. 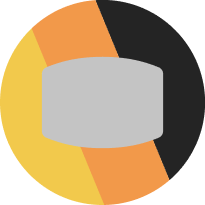 Both sides were clearly a bit rusty and the Brisbane Broncos, in particular, were uncharacteristically full of errors. Balls were stolen from both James Graham and Ben Hunt and forward passes were not infrequent. The initial 15 minutes were fierce, but after that, the Dragons forwards asserted their dominance over the Broncos and the Dragons never looked back after a Ben Hunt in goal kick was grounded by Dragons second-rower Tyson Frizell, giving the Dragons a 10-2 lead. 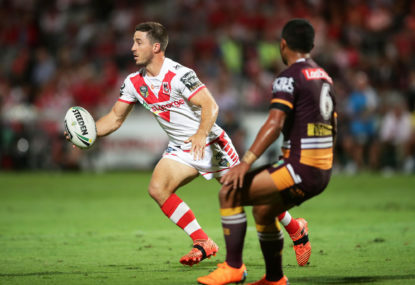 Hunt was potent in his initial outing for the Dragons, although his combination with Gareth Widdop remains a work in progress, albeit showing promising signs. James Graham at prop was committed. 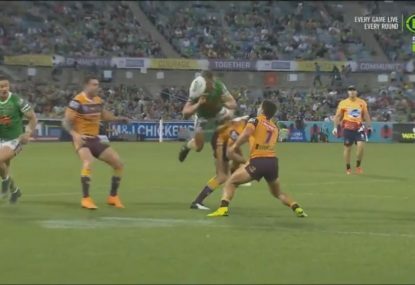 The Broncos halves combination of Anthony Milford and Kodi Nikorima struggled to assert themselves and appear to be failing to properly lead the attack. Both players are more instinctive than into game management which was previously provided by Hunt. 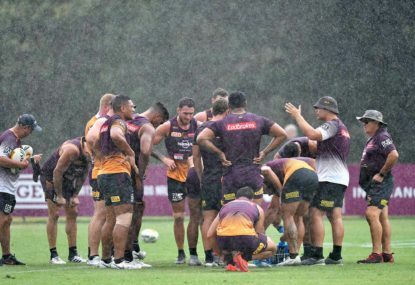 This is clearly something that coach Wayne Bennett will need to fix, but he had no answers in the post-match news conference and may be regretting not joining the halves market scramble in the preseason. For the Dragons, centre Euan Aitken was impressive with numerous strong runs eventually leading to a try and appears to have cemented his centre position. Jason Nightingale despite his age was also courageous in his strong attacking runs and scored a try late diving over in the corner. Ah Mau as bench prop showed his strength and aggression in the attack which was evident towards the end of last year, but it was Hunt who stole the show with an intercept try from a Matthew Lodge pass. Matt Dufty at fullback for the Dragons did not disappoint with numerous incisive runs but missed out on a try. Indeed, it was a good team effort with all the Dragons players contributing to the result apart from Kurt Mann and Luciano Leilua, who from the bench were given little game time to prove themselves. 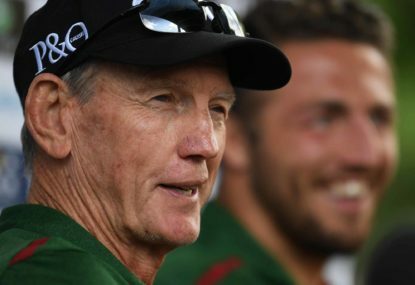 For the Broncos, Tevita Pangai Junior and young winger Jamayne Isaako showed great promise, but Wayne Bennett was clearly disappointed in the overall result. Either the Dragons are a great side, or the Broncos did not perform to expectations, and I think clearly the latter is the case. The Dragons play the Sharks next week, also in the Thursday night match and can go into that match with some confidence after their display against the Broncos. The Broncos face the Cowboys and it could well be two losses in a row to start the season for the Broncos. 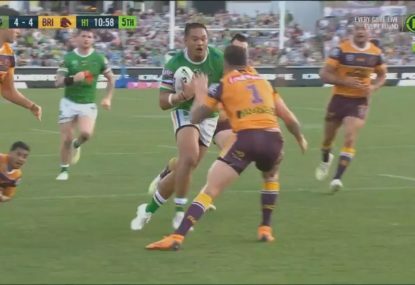 Broncos Jaydn Su’a was put on report after a deliberate shoulder charge on the Dragons front rower Paul Vaughan who was standing in the line and not in possession of the ball. No injury report on Vaughan has been provided but he did not look well leaving the field and Jaydn Su’a looks to have a nervous wait for the judiciary.